The lifestyle we are living right now that requires things to be fast and easy has led to the accumulation of more garbage that people produce. It came from easy disposable products such as bottles, cans and packaging causing increase amounts of plastic pollution. As plastic is composed of major toxic pollutants, it has the potential to cause great harm the environment in the form of air, water and land pollution. 1. Trash: Plastic is everywhere, even on those items you may not expect it to be. Milk cartons are lined with plastic, water bottles are handed out everywhere, and some products may even contain tiny plastic beads. 2. Overused: As plastic is less expensive, it is one of the most widely available and overused item in the world today. When disposed, it does not decompose easily and pollutes the land or air nearby when burned in the open air. 3. Disposing: Plastic is meant to last, it is nearly impossible to break down. Burning plastic is incredibly toxic, and can lead to harmful atmospheric conditions and deadly illness. Therefore, if it is in a landfill, it will never stop releasing toxins in that area. 1. It upsets the food chain: Because it comes in sizes large and small, polluting plastics even affect the world’s tiniest organisms such as plankton. When these organisms become poisoned due to plastic ingestion, this causes problems for the larger animals that depend on them for food. Plus, it means that plastic are present in the fish that many people eat everyday. 2. Land pollution: When plastic is dumped in landfills, it interacts with water and form hazardous chemicals. When these chemicals seep underground, they degrade the water quality. Wind carries and deposits plastic from one place to another, increasing the land litter. It can also get stuck on poles, traffic lights, trees, fences, tower etc. and animals that may come in the vicinity and might suffocate them to death. 3. It kills animals: Whether because the mass of plastic has displaced animals or the related toxins have poisoned them, plastic pollution does a lot of damage to the world's ecosystems. 4. It is poisonous: Man artificially makes plastic by using a number of toxic chemicals. 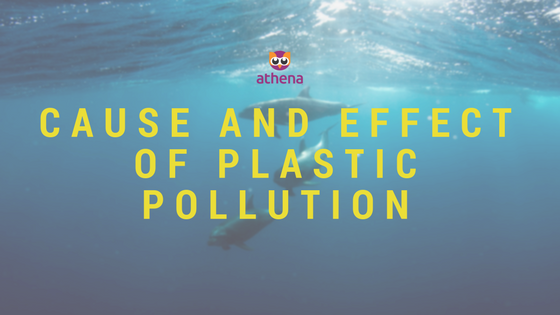 Therefore, use of and exposure to plastics has been linked to a number of health concerns affecting people around the world. The processes of making, storing, disposing of, and just being around plastics can be extremely harmful to living things. 5. It is expensive: It costs millions of dollars each year to clean affected areas after exposure, not to mention the loss of life to plants, animals, and people. As land becomes more valuable, just finding a place to put garbage is becoming a problem in many parts of the world. Plus, excess pollution has lead to decreased tourism in affected areas, significantly impacting those economies.